We purchased our 2006 Saturn Ion 2 in the fall of 2005. This was a great deal on a demo vehicle, and the car has served the family well. It has proven to be a reliable car for 10 years and 210,000 miles, but with a long commute and a teen driver, it is time for a new ride. Car would still be under the OE Warranty with low miles. Our most recent purchase was a 2007 Saturn Ion 2 with 11,000 miles purchase at our local CarMax in 2010. It was a much different process than the daylong event at a dealership; roughly 2 hours from start to finish. So I started my search at the traditional dealership websites to establish a baseline, then moved to CarMax. Within a few hours I was able to narrow my selection down to a few cars, but on a whim I checked one more site, Carvana.com. The site is very clean compared to the typical dealer site. i could quickly sort vehicles by model year, mileage and price. Within a few click, I was able to register for an account, and save several cars in my garage. The only problem I could find with the site was an inability to touch/feel the cars. Luckily, we are short drive to our local CarMax, so we visited their lot. roam the lot. We took photos, made notes, and came home with a short list of four cars. Unfortunately, while we were gone, two of the cars in are garage were purchased, so I took the next step on the site. No problems, I felt comfortable with the vehicles available, so took the next step and applied for financing through Carvana. After applying, all the vehicles now displayed my interest rate, down payment and monthly payment. This was not an estimate, bu the actual amount I would pay. I could even play with the term, down payment and monthly payment, to find vehicles within my budget. Understanding the needs of online car shoppers, the site offers a 360 degree view of the inside and outside of the vehicle, they also point out imperfections, and provide a vehicle history report from AutoCheck by Experience. 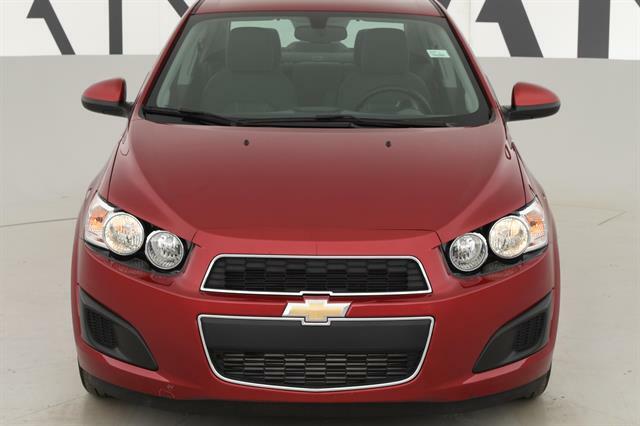 We found a 2014 Chevrolet Sonic LT with only 1,139 miles for $13,200.This is well below Kelly Blue Book fair market price for our area, so I began the purchase process, only to stop midway to think about. After a nights sleep and a drive in the country, I could not find a valid reason not to complete the purchase. $13,200 plus tax, tag and title for total of $13700. Even financing, well below the base price through area dealers. No $399 doc. fee. or dealer prep fee, just the price. In addition to the 34,861 miles remaining on the GM Bumper to Bumper warranty, I also have a 7 day/400 mile test drive and a 100 day 4100 mile warranty through Carvana. The purchase process is straight forward, with step by step instruction if needed. I drew my signature on a pop up screen prior to completing the documents, and then applied the image of my signature at the end of each section with the click of a button. I then set my deliver time for Saturday 9/12/2015. The next day I received a confirmation call from Carvana making sure the delivery time would work for me, and confirming if I wanted to transfer a title or apply for a new one. I will provide an update Saturday regarding the delivery process and to confirm if the vehicle is as described in Carvana's listing. My car was scheduled for delivery at 7:00 pm, but I received a call from the delivery driver, Nick letting me know he was 40 minutes away, and if I wanted the car early. Within :35 minutes he was unloading my car. Which arrived as listed on carvana.com. I still had a few more forms to fill out, and I had a slight hangup with the GEICO website, but Nick patiently waited for me to update our insurance policy. This process was extremely simple as I just snapped a photo of the updated info, and sent Nick a text. Before leaving he explained the return polity, letting me know I will receive a call within 6 days to make sure I am satisfied with the purchase. Just based on service alone, I doubt I will ever purchase a car through a local dealer again.